As one of the oldest city in the U.S.A., the site of the Founding Fathers, the largest city and the capital of the state of Massachusetts, Boston holds a place in the nation’s heart like no other. There are so many and so varied attractions which tell the story of America’s founding that an exploration of this city will remain a permanent and profound memory you will hold for a lifetime. To start with, let’s talk about 5 things which are simply ‘must-do’s’, and which a Boston students of TALK cannot afford to miss! 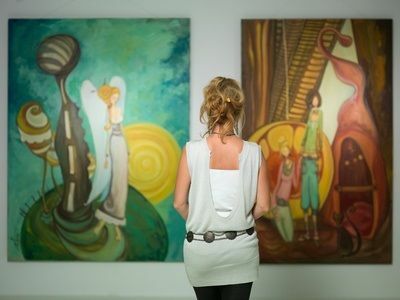 One of the best-known and largest art institutions in the U.S.A., the Museum Of Fine Arts houses some of the world’s most famous works of art masterpieces, as well as truly astounding comprehensive collections of particular genres, school and periods. It is best known for its Asian collection, its Egyptian collections, the Impressionist period paintings and early American period art. 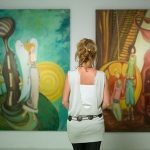 The Museum Of Fine Arts, Boston is a great stopping point for those who may appreciate, or seek to find out more about art and art history. 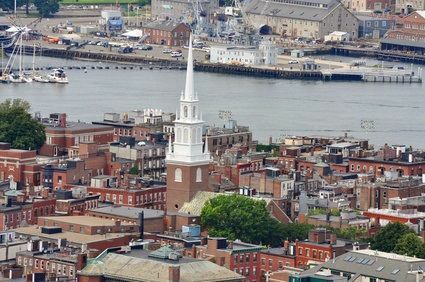 One of Boston’s oldest and most authentic Italian neighborhoods, North End features a wonderful array of historical sites as well as extraordinary restaurants. As you walk down along the cobblestone streets, you are swept into the delights of the distinct shopfronts and architecture, plus the most delicious aromas of some of the best culinary delights anywhere on the planet! 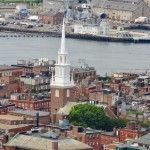 As you meander, visit the Old North Church at 193 Salem Street. It was originally constructed in 1723 and features a 191ft steeple. Itis famous because during the American Revolutionary War against Britain, it would signal with the lighting of 2 lanterns a warning to the patriots of the enemy’s approach. This is the beat of The American Revolution, and that means you can also see the house which belonged to that great American patriot, Paul Revere 1770-1800. It is one of the oldest buildings in downtown Boston. 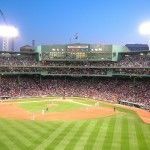 For any baseball-sport- TALK-student-travel fan, Fenway Park is a must-see!!! 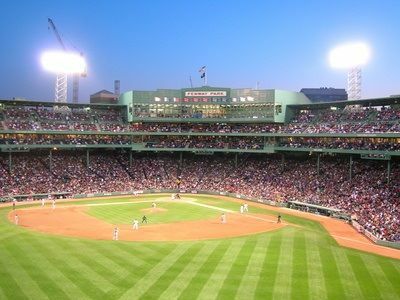 !Fenway Park is the oldest Major League baseball park in the whole United States Of America. If you go there, you will see what a fantastic feeling is created here when there is a ballgame on. It is a really intimate, cosy atmosphere which makes you feel like you are right in the game! Located in downtown Boston, it is only a stone’s throw away from all of the other amenities, transport hubs, restaurants and shops that this city has to offer. 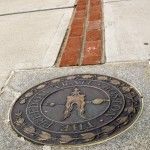 Known as the historic walking path in Boston, the Freedom Trail is a 2.5 mile mostly brick path which features distinctive red lines that weave through downtown Boston. This walking path starts at Boston Common and takes you finally to where the USS Constitution in docked in Charlestown Navy Yard. Along the trail there are simple ground-markers which explain significant events, famous churches, historically important graveyards, and other architecturally or historically distinct buildings that are along the way. 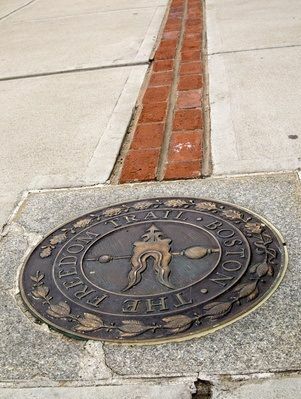 Most places are free to view, including the Old State House, Old South Meeting House, and the Paul Revere House. 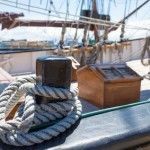 The USS Constitution Museum is a great place is, as a Boston TALK student, you not only wish to only learn about American history, but you also want to become a part of it and to experience it! 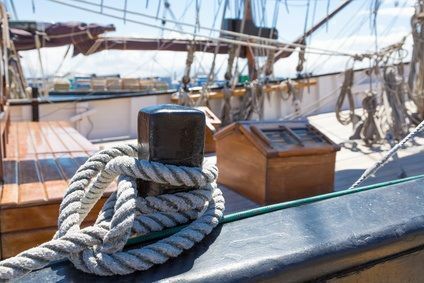 At the museum you are allowed to fire cannons, furl a sail, scrub the decks, and experience life of what it was like for sailors over 200 years ago. So much fun! The USS constitution Museum is located across from the historic Boston Natural Park in Charlestown Navy Yard.